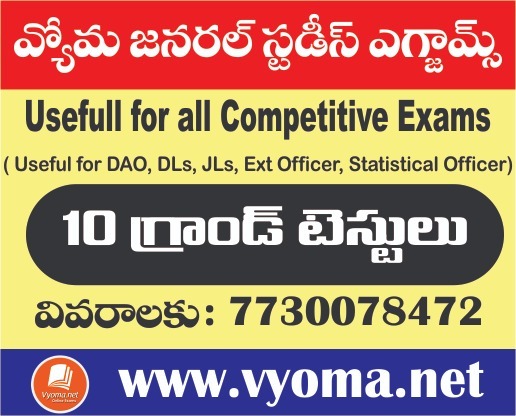 Vyoma provides you Andhra Pradesh State public Service Commission (APPSC)Study Material. APPSC Group 3 Material are available in subject wise and author wise for Telugu Medium Students. 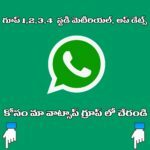 Group 3 APPSC Material Telugu Downloadable pdf is available here. This Group 3 APPSC, Study Material Is very Helpful and useful For all exam preparation like UPSC Civil Services. As we are giving This(APPSC Group 3Material) free pdf file, so it can be easy to read in mobile phones rather than buying Study Material. These Materials are published by the Different Authors. Panchayat Secretary posts recruitment in A.P. Panchayat Raj Subordinate Services under Group-III Services. The Andhra Pradesh Public Service Commission has conducted the Online main examination (two papers) for the posts of Panchayat Secretary, Grade-IV under Group-III Services on 06-08-2017 and 07-08-2017. In this section, we are providing Panchayat Secretary Syllabus, Previous question papers, Model Tests and Chapterwise Tests, Grand Tests.